Ford Focus ST Running Costs, MPG, Economy, Reliability, Safety | What Car? The Ford Focus ST is priced really keenly; in base ST-1 spec it undercuts even the Skoda Octavia vRS. However, the better-equipped ST-2 is more similarly specced to the Skoda and is slightly more expensive. This is the trim we’d recommend, because it has the 8.0in colour touchscreen, part-leather trim, heated windscreen, automatic lights and wipers, LED daytime running lights and climate control on top of the DAB, USB input, Bluetooth, 18in alloys and ST styling kit that the entry-level car gets. Satellite-navigation is also a reasonably priced option on ST-2 models. High-spec ST-3 gets full leather, keyless go, rear parking sensors, electric front-seat adjustment and cruise control, but is too expensive to recommend. Add a few choice options to ST-2, including the reasonably priced sat-nav and rear parking sensors, and you’ll have a well-equipped, good-value car. 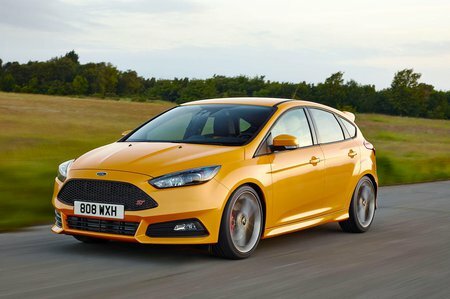 You’re likely to be able to haggle a fair discount on the Focus ST, and PCP finance deals tend to be competitive, with low interest or low deposit offers often available. Resale values are set to be acceptable, if not as good as those of more premium rivals such as the VW Golf GTi. Emissions and economy are slightly better on the diesel Focus ST hatch and estate than they are on the diesel Skoda Octavia vRS models, but the Skoda’s petrol engine is slightly more efficient, and you have the benefit of being able to spec a decent dual-clutch auto to either Octavia vRS engine, while the Focus ST has no automatic gearbox option. Tyres are going to be a fairly hefty cost on this car, since it’s likely to chew through front rubber quite quickly – as with any hot hatch. Overall, as long as you stick to lower trims, the Focus ST is very competitive for buying and running costs whether you opt for petrol, diesel, hatch or estate or any combination. Do carefully consider the Seat Leon FR diesel instead of the diesel Focus ST, though – it’s more precise through corners, performance is just as good and the costs are even more compelling than those of the Focus, even if it isn’t quite as entertaining. 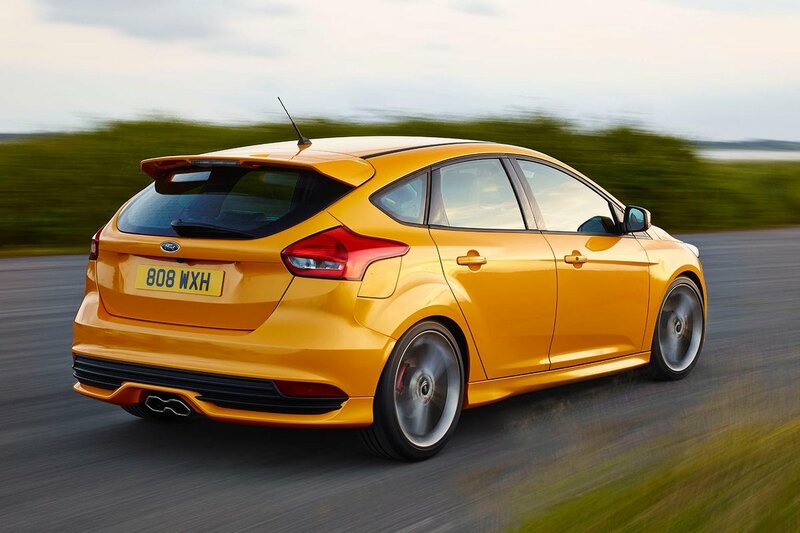 The Focus ST is still one of the most enjoyable all-rounders in the hot hatch class. It's good value and easy to live with.